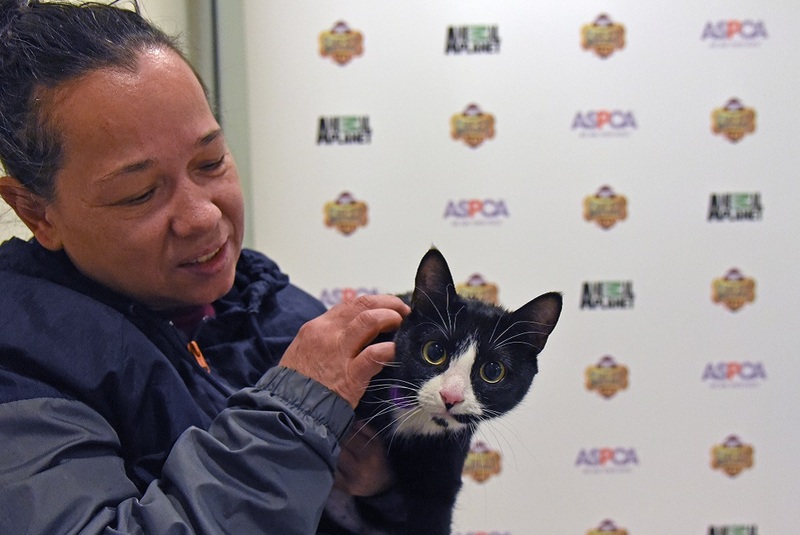 The coldest day of the year didn’t stop New York City-area families from visiting the ASPCA Adoption Center and adopting nearly every available cat and dog—26 in all. 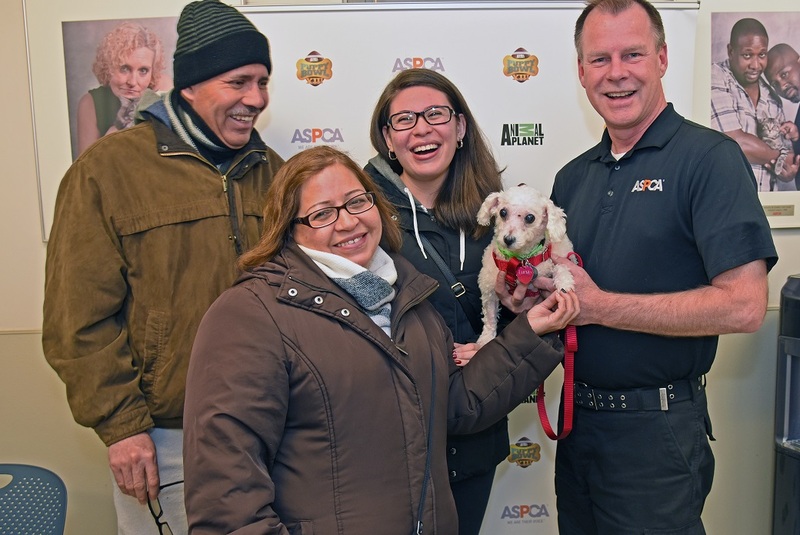 On Sunday, January 8, Animal Planet sponsored a fee-waived adoption event celebrating the upcoming Puppy Bowl XIII, which airs February 5 at 3:00 P.M. ET/12:00 P.M. PT. All adoption fees for dogs as well as cats were covered by Animal Planet. Puppy Bowl XIII will feature a former ASPCA pit bull puppy named Precious. In addition, kittens playing on the field during the Kitty Half-time Show are all from the ASPCA’s Kitten Nursery, where they spent the first weeks of their lives before they were ready to be adopted. “Our goal is to raise awareness about the importance of adoption and ultimately, to find pets loving homes,” Rebecca said. Diosa Desilva of the Bronx with Lily, the day’s first adoption. Lily, a wide-eyed black-and-white cat, was the day’s first adoption, by Diosa Desilva of the Bronx. “I’ve always loved cats,” said Diosa, whose daughter, Maria, chose Lily. Another black-and-white cat named Jupiter donned a colorful bow tie in preparation for the event. “Every tuxedo cat needs a bow tie,” said Dale Spies, Senior Customer Service Representative for the ASPCA, who demonstrated Jupiter’s talent of performing “high-fives” for treats. The ASPCA’s Dale Spies with Jupiter. Right, Earl Grey with Emily Quinn, ASPCA customer service representative. ASPCA customer service representative Emily Quinn cuddled a 10-week-old male puppy as his adopters completed their paperwork. “This is how I’d like to start all my shifts,” Emily said. The Zapatier family: Victor, Pilar and Jahayra, with the ASPCA’s Dale Spies, adopted 6-year-old Luna. The Zapatiers weren’t the only ones adding a pet to their family for the first time. Luisa Valencia of the Bronx, along with her sons, nine-year-old John and 15-year-old Ronaldo Marquez, adopted Matcha, another 10-week-old puppy. 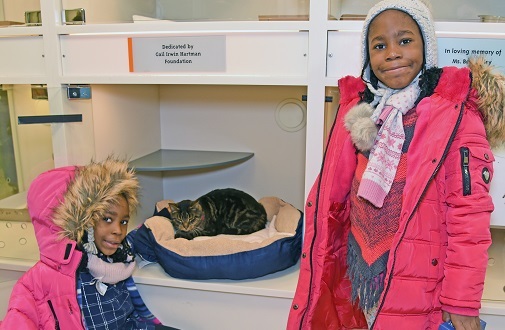 Mireille Affaa and her twin daughters Elsa and Erica, 8, of Roosevelt Island, adopted Maui, a five-year-old tabby. “The girls wanted a cat for a long time, and we even looked online,” said Mireille. Left: Twins Erica and Elsa, and their mother Mireille Afaa, adopted Maui. Right: Luisa Valencia, along with sons John and Ronaldo, adopted Matcha, a 10-week-old puppy. 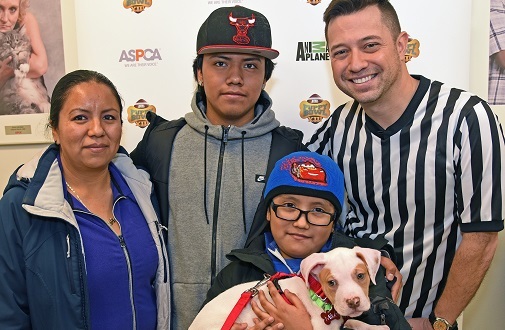 Puppy Bowl referee Dan Schachner posed for photos with adopters and their new pets, congratulating them on their new family members. "Our goal with both Puppy Bowl and this event is to emphasize the importance of pet adoption,” said Patrice Andrews, General Manager of Animal Planet. “It was an honor for Animal Planet to help expedite the adoption process by covering the adoption fees." 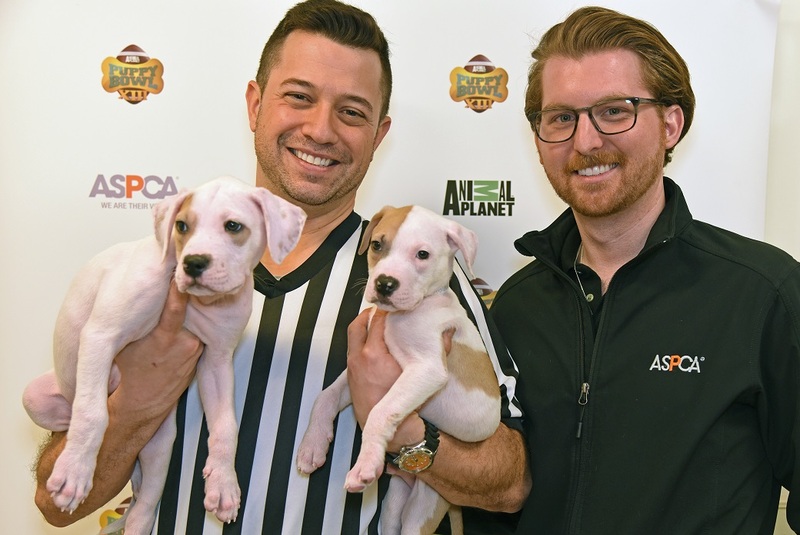 Puppy Bowl Referee Dan Schachner and the ASCPA’s Joseph Teixeira with two adoptable pups. For PUPPY BOWL XIII, Animal Planet worked with 34 different animal shelters and rescue organizations from across 22 states including the ASPCA. 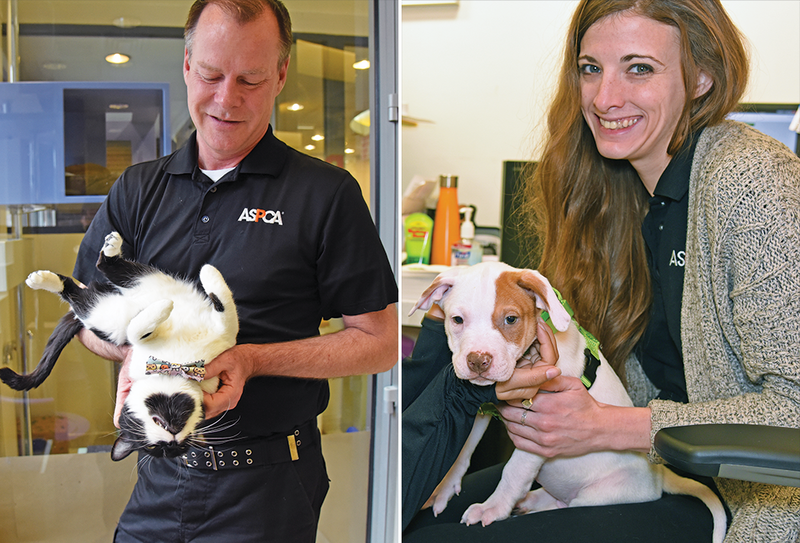 As a proud ASPCA Strategic Cause Partner, Animal Planet participated in the NYC Paw Parade, walking with more than 500 people and 100 dogs in celebration of the ASPSA’s 150th Anniversary in 2016; covered adoption fees at the Adopt-a-pa-looza event where 300 cats and dogs found homes; and aired the ASPCA’s rehabilitation documentary, Second Chance Dogs, in April 2016.